Living the Dream: for 24 hours on August 24, 2013, students and staff from Berkeley College journeyed to Washington, DC, joining thousands who will again March on Washington to commemorate and honor a moment and movement that inspired hearts and changed history. Learn more about the 50th anniversary celebration and the significance of the Berkeley College #mkldream50 trip here. 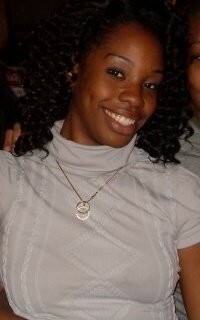 My name is Kyeisha Harrison. Two years ago, the thought of taking away my precious weekend to attend a rally for anything was not even an option. My time is valuable, and after putting in a 50 hour work week, I preferred to spend my leisure time on my couch. 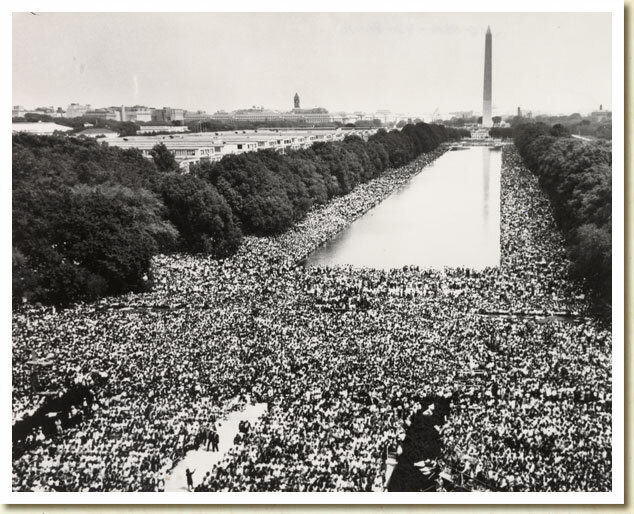 A lot has changed since then, and today I was elated at the thought of being able to gain a practical learning experience from attending the 50thAnniversary of the March on Washington. I was a part of history that my children will one day read about in books. 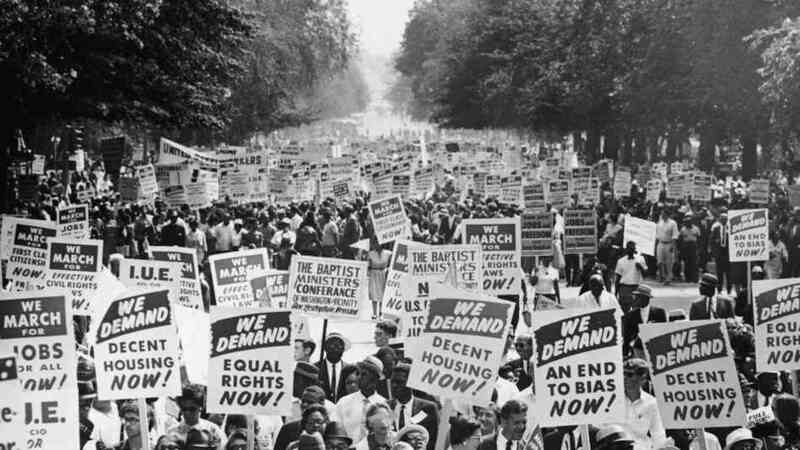 I have just recently become interested in civil rights and I believe that this experience not only deepened my knowledge, but my also helped drive my passion. There are so many benefits that I, as an African-American woman, have received from Dr. King’s March on Washington that I often forget , and shamefully, some things for which he fought and stood for of which I’m even unaware. I love that I have the opportunity to educate myself further on injustices and civil rights laws. I feel empowered in knowing that participating in this marched allowed me to utilize my rights and privileges to be a part of the movement to make a change. I no longer want to just live and reap the benefits of others’ hard work, sweat, blood, and tears. I have a new passion to be a part of a changing Nation. I want to channel my energy into something other than Twitter or Facebook. I want to make a difference for not only myself, but for generations to come. I want to march, and listen and be vocal for the needs of so many. This past August, I marched for change and equality. I spoke for those who have not yet found their voices, and listened to those of wisdom and knowledge who can impart a lively dream in my life. I am not sure if Dr. King’s dream will ever completely come true, but I do know that it has come close to life, and we will never move further if we do not take one step at a time. This was the first march that I have ever attended and the first of many steps that I will take. 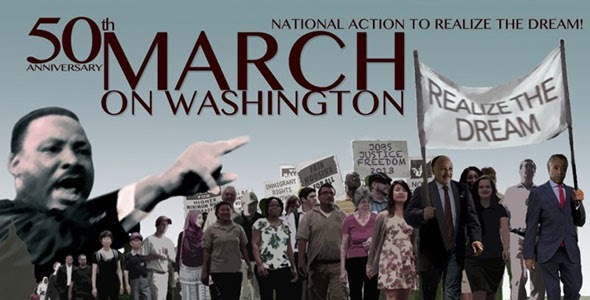 I am attended the 50th Anniversary of the March on Washington to not only commemorate the greatness of what Dr. King did and said 50 years ago, but to also begin my march, walking step by step in making a difference. Next Post The Brooklyn Campus opens a Veterans Resource Center!